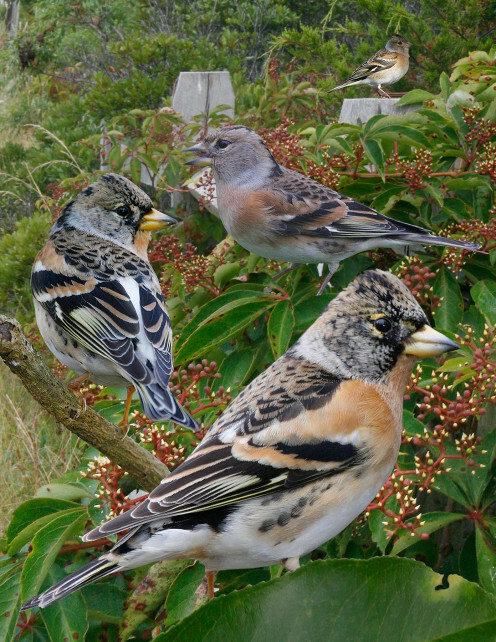 Pictures of the Brambling & Facts of its Life. For the meanings of bird parts which you do not understand in this Hub, see my bird glossary. If what you want is not in there, please let me know so that I can add it into the glossary. Bramblings are popular for the uncertainty of their migrations; birds wintering in Great Britain have been recovered in Italy the next day. 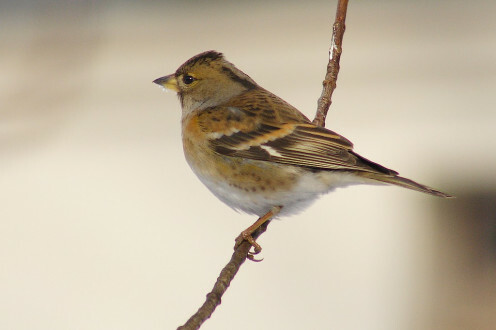 This variation may be associated with the reliance which brambling flocks have on the seeds of a few trees, especially beech, that tend to be produced plentifully in alternate years in different localities. Unlike most finches, their young are fed mostly on insects. It has an extended, wheezy song reminiscent of Greenfinch. In fact, you could say that its song is a slow nasal “tweeee” sound. It has a flight call which is a "sweep" and also a ‘nasal’ “chek, chek” call. Two other calls are a “dzhweeeee” and a “tweerk” call. 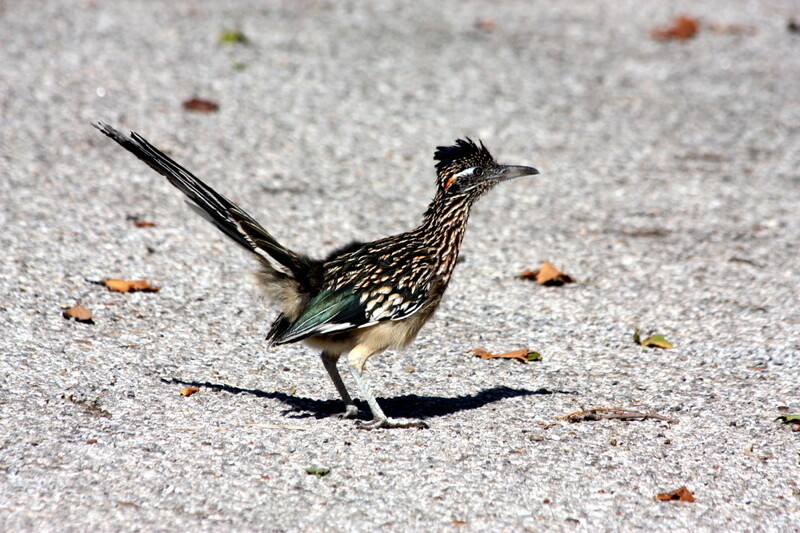 This bird reas a length of 5.75" - 6". 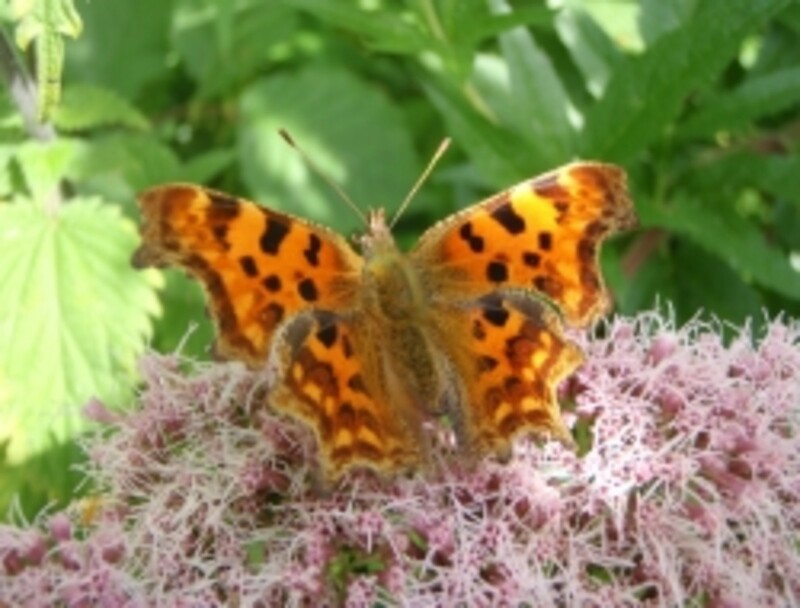 When its wings are spread out they reach a length of approximately 8.67" from tip to tip. In the winter, the male has a breast and scapulars which are orange, contrasting with its white belly. The flanks are dark-spotted and the bill is yellow colored and it also has a white rump. In the fall, the plumage has buff-edged upperparts. The underparts are also buff but still with black-spotted flanks. The wings are black with white and orange bars. The breeding male has a jet-black hood and back with tawny orange shoulder patches, throat and breast. Again you will see the white belly with spotted flanks. 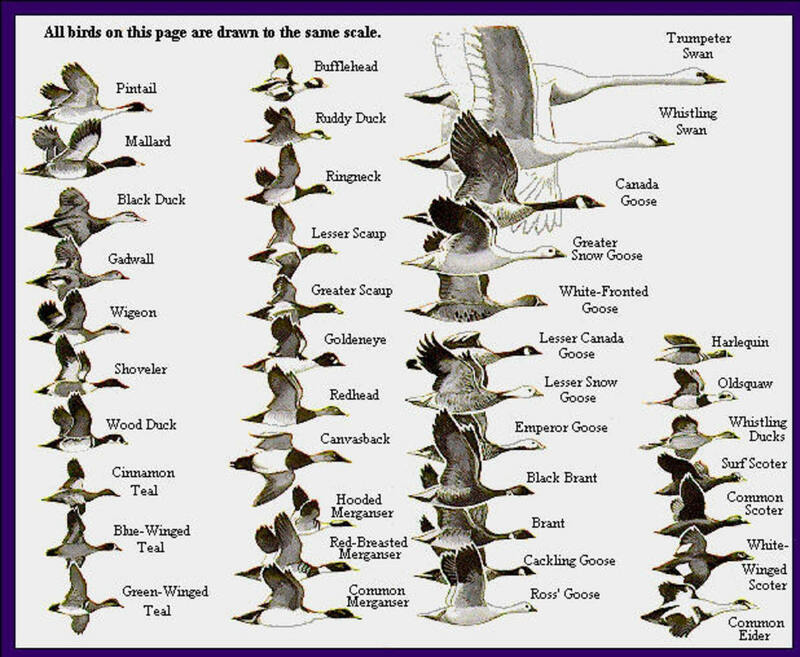 When breeding, the bill will have turned full black to blend with the head and back. 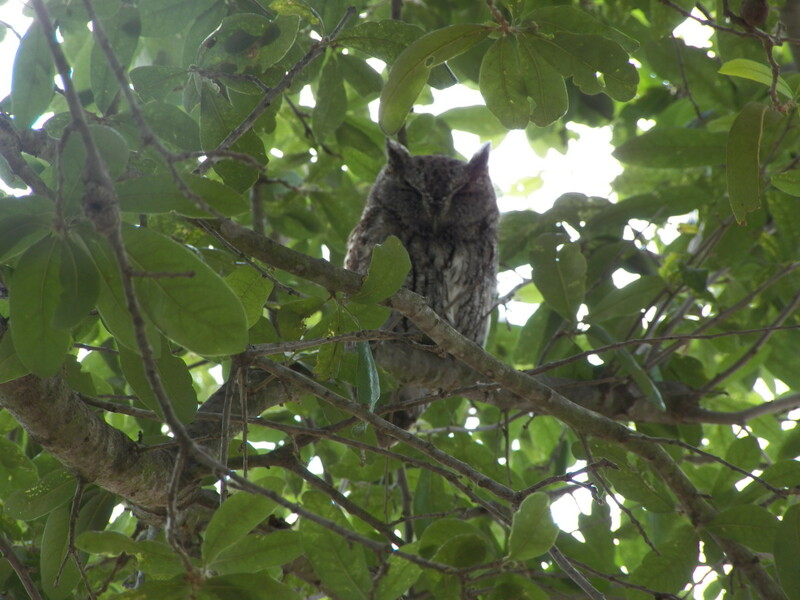 There is not much of the female to describe except that she has a mottled crown, a plain gray face, a striped nape with tawny shoulders and breast. The description of the juvenile brambling is not much different than the adult female. Brambling adults mostly eat seeds, but unlike most other finches, their young are fed basically on insects. The bird builds its nest in a tree fork and adorns the outside of the nest with moss or lichen to make it less conspicuous. A woven cup shaped nest of grasses and fibers dressed with lichens or bark and reinforced with hair or feathers. The Brambling nests are found in northern Eurasian forests or arctic scrub. So far there are no United States breeding records. It lays an average of 5 - 7 greenish or brownish colored eggs which have dark brown spots. Incubation Period: The eggs are in the nest for 11 – 12 days. Fledgling Period: After hatching, the birds are still in the nest for another 13 – 14 days. Broods: It lays the eggs twice. 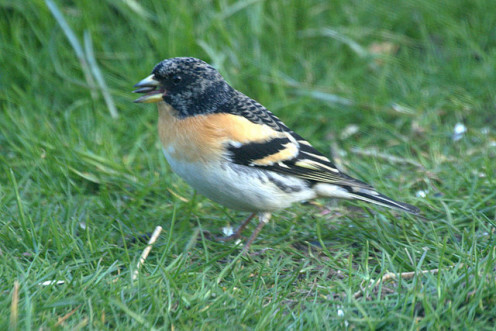 The brambling is widespread throughout the forests of northern Europe and Asia. It is migratory wintering in southern Europe, north Africa, north India, northern Pakistan, China and Japan. It regularly strays into Alaska during migration and may continue as far south as the western United States. It is native to the majority of Asia and Europe while being a species from Eurasia and being a rare visitor to this country. It is also a common migrant in the Bering Sea region, including the Aleutians. 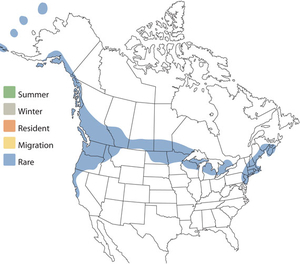 It casually strays into southern Alaska in the fall and winter; while it is an accidental visitor to Canada and the United States - straying as far south as central California and Kansas. Do you live in an area where these show up? During the breeding season – bramblings like Taiga but especially prefer northern birch forests. Out of breeding season – flocks are found in agricultural fields and woodlands (especially beech), where they feed on grain and nut mast, also parks and gardens. Open coniferous or birch woodland is favored for breeding. The Brambling is on the ‘Least Concern’ list. It has a bounding flight, or taking turns between rapid wing beats and alternating with wings at its sides. 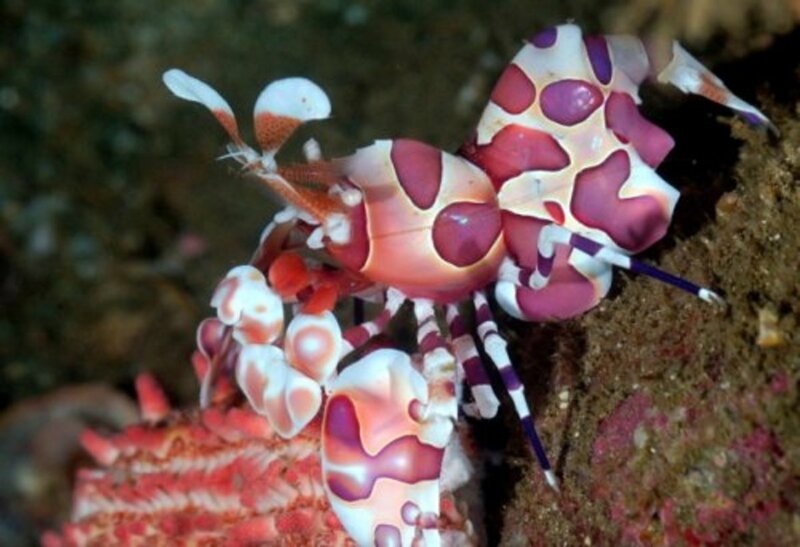 This species is almost entirely migratory, which is mostly why it is hardly seen in the U.S. 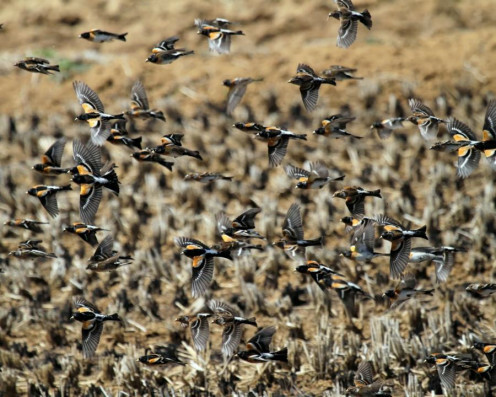 In Europe, it forms large flocks in the winter, sometimes with thousands or even millions of birds in a single flock. Such large gatherings occur especially if beech mast is abundant. 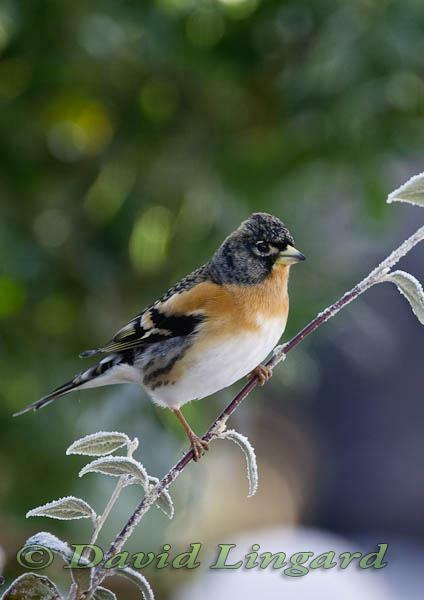 Bramblings do not require beech mast in the winter, but winter flocks of bramblings will move until they find it. Thank you very much for enjoying the Hub Eiddwen. When I studied the birds in No. America, I was surprised to find out that several of them migrated in Europe - U.K. included. I am glad that it was interesting for you. As I said I plan on looking at the birds outside the U.S., when I finish the series that I am currently on. I hope that you have a good weekend too. This bird is indeed a stranger to me also or at least was until I read this. So very interesting and well presented Kevin. Thank you for sharing and have great weekend. Hello. Let us know if you do come across this bird. 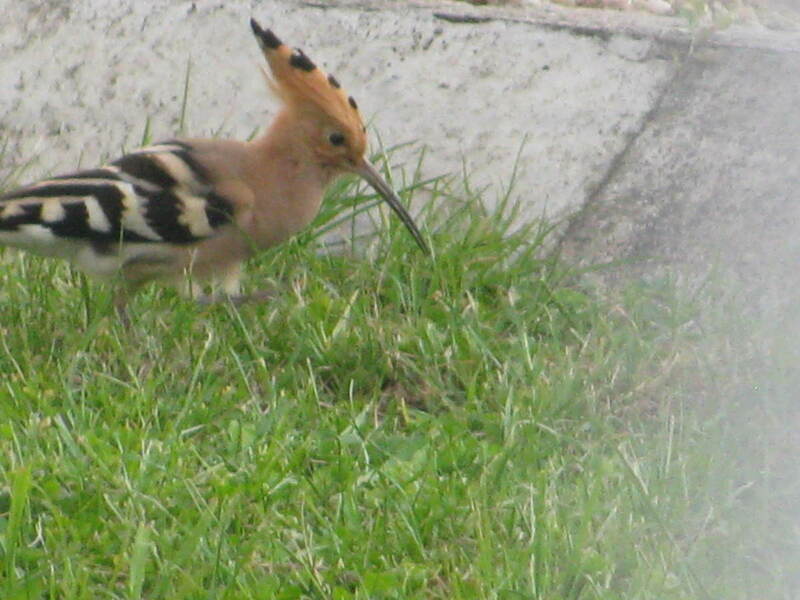 Yes, it does remind me of the B. Oriole too but it is a couple of inches smaller. I have not come across this bird yet, but it sure is a beauty. It reminds me a bit of a Baltimore Oriole, but not quite as colorful.